The 56-year-old Pardew signed a 2 1/2-year deal as a replacement for Tony Pulis, who was fired by West Brom's Chinese owner last week with the team near to the relegation zone. Then Crystal Palace manager Alan Pardew stands in the dugout ahead of the English Premier League match against Southampton at Selhurst Park in south London in this December 3, 2016, photo. EPL struggler West Bromwich Albion on November 29, 2017, appointed Pardew as its new manager following the sacking of Tony Pulis. Alan Pardew was hired as manager of West Bromwich Albion on Wednesday, securing a return to the English Premier League after nearly a year out of management. Pardew inherits a team that is only two points above the bottom three, and is without a win in 13 games in all competitions — 12 of those coming in the league. His first match in charge is on Saturday against Crystal Palace, the club that fired him last December, with tough fixtures looming later in December against Liverpool and Manchester United. 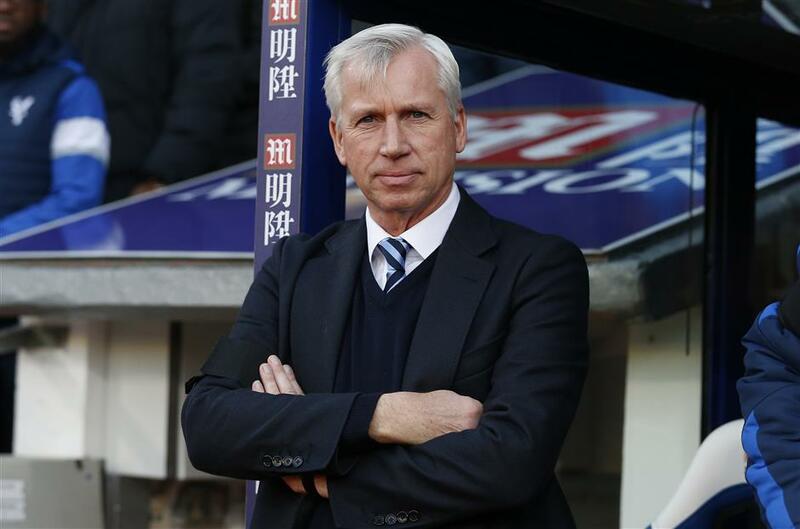 "The immediate challenge will be to get the results we need to pull ourselves up the table," Pardew said. "But I'm aware that while I'm joining one of the great, traditional clubs of English football, it is one determined to go forward in the Premier League." Pardew has also coached Newcastle United, Southampton, West Ham United, Charlton Athletic and Reading. West Brom was attracted by his experience of managing in the EPL. "Alan brings the experience of more than 300 Premier League games," West Brom chairman John Williams said, "and the kind of dynamic leadership from which our club can benefit." Pardew was voted as the EPL's manager of the year in 2012 for guiding Newcastle to a fifth-place finish, but fell out of favor with the club's fans and left for Palace in December 2014. While his immediate task will be to keep West Brom in the lucrative EPL, he may also need to introduce a more positive brand of soccer. West Brom fans grew tired of Pulis' pragmatic and direct approach, wanting more than just survival in the top flight but some entertainment, too. The club from central England came under new ownership last year, with Chinese businessman Lai Guochuan becoming the majority shareholder. Backed by Lai, West Brom spent about 30 million pounds (US$40 million) in the offseason and enriched the squad with players like Poland midfielder Grzegorz Krychowiak from Paris Saint-Germain, left back Kieran Gibbs from Arsenal, and winger Oliver Burke from Leipzig. West Brom has possibly got its strongest squad in decades, and Pardew, who is adding his former assistant at Newcastle, John Carver, to his backroom staff, needs to get more out of it than Pulis. Gary Megson, who took charge of the team on an interim basis following the departure of Pulis, has left the club, He guided West Brom to two draws, at Tottenham Hotpsur on Saturday and at home against Newcastle on Tuesday when the Baggies threw away a 2-0 lead to draw 2-2.